Today on the Doc On The Run podcast we’re talking about whether or not running is risky. I recently went to pick up my 10 year son Alex from an after school program. He and all his classmates were playing on the playground. The camp administrator that runs the program actually approached me as I was walking across the playground. I looked over and Alex who was standing up on the tire swing. He was swinging so high that he was almost horizontal at the top of the arc. I raced motorcycles professionally. I fly a paraglider. I’ve climbed mountains in Alaska. I have done lots of solo big rock climbs in Yosemite and Zion national Park. I’ve even free soloed routes, climbing over a thousand feet off the ground, alone, with no rope. I still ride motorcycles when I do house calls to see injured runners around San Francisco. I drive on the line between the cars when I am in traffic. A lot of people think splitting lanes on a motorcycle is dangerous. When Alex was little we used to ride motorcycles together. He would often ask me to ride wheelies while he was on the motorcycle with me. Does that seem risky to you? A lot of people think that motorcycles in and of themselves are risky or dangerous. But is riding a motorcycle dangerous? Do you think it would be dangerous to hop on a dirt bike and attempt to do a jump, with a backflip on the motorcycle? What about someone riding a motorcycle on a road, somewhere in the countryside with no other traffic or no cars around. Does that really seem risky to you? Look, the point here is that some things are just more risky than others. If you are a runner and you’ve been injured you have to think about risk. There is risk in everything! If you run with your back to traffic you might get run over by somebody whose texting. That’s risky! If you do hill repeats until you’re completely exhausted, you could get an over training injury. Some people would say that is risky. If you run on uneven trails you could sprain your ankle. 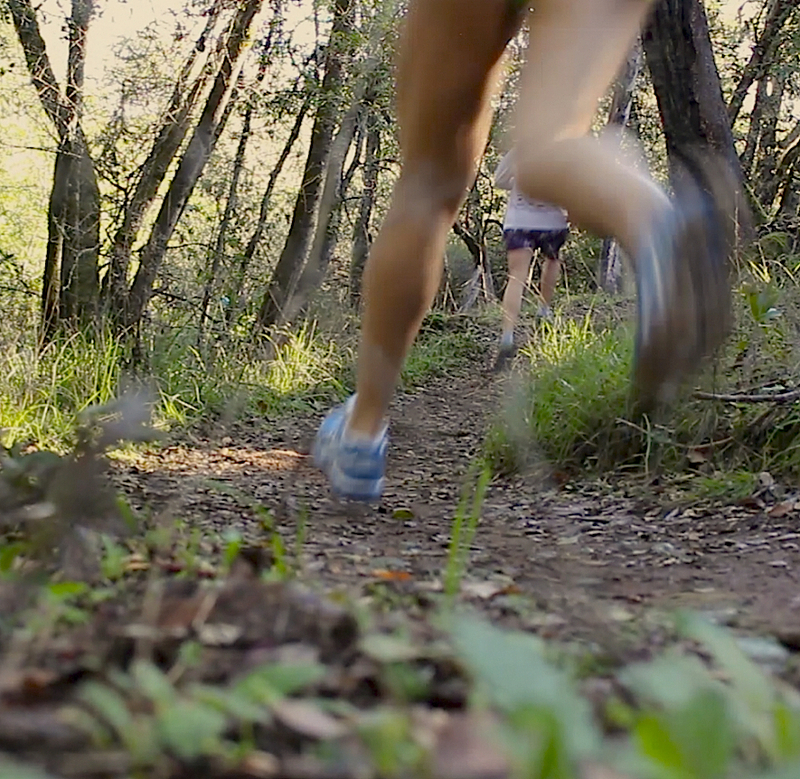 Some of your road running friends might tell you running on trails is risky. Everything has some level of risk. If you don’t ever go outside, never get on a motorcycle, never run on a trail and instead you spend the rest of your life sitting on the couch or sleeping in bed, you probably won’t die of a traumatic jury. But you might die of heart disease or boredom. And if you’ve been injured your doctor just might tell you that you can’t run because running itself is just too risky. But you have to really think about what is risky and what’s not. Everything in medicine has risk. There is no single treatment a doctor can offer to you that is 100% risk free. For every good thing in medicine, there is a bad thing. And that is true of all treatments. To understand risk you also have to understand your goal. If you are runner and your goal is to run, you have to understand that “not running” itself is risky to you as a runner. This year I lectured to physicians at medical conferences in California, Las Vegas, Seattle, and Reykjavík, Iceland. One of the talks I presented at some of those conferences was about how doctors can treat runners differently in order to reduce re-injuries after the injured runner heals and start running again. One interesting fact is that there are actually only three proven risk factors for injury among runners. Being a high mileage runner. A history of prior running injury. Although this may be controversial, I’ll go ahead and say (as a man) I believe if you are male you may be dumber than a woman runner and more prone to ignoring signs of injuries and toughing things out. I think being tough and ignoring pain can lead to an easily preventable over training injury. The second thing is being a high mileage runner. This is not really complicated. If you run a lot, particularly every day, you have less time to recover. The problem is not running lots of miles. The problem is NOT recovering enough in between those runs. There is no over-training. There is only under-recovering. Being a high mileage runner makes it more difficult to properly recover. The third and most important of these risk factors for a running injury is a history of prior running injury. Many doctors argue that certain runners are biomechanically flawed or somehow more prone to running injuries. They use this third risk factor as proof that you must somehow be damaged if you got injured while running. So if you are biomechanically flawed then it just makes sense that you need some kind of biomechanical correction like a custom orthotic device. In more drastic cases the doctor may actually tell you that because you are biomechanically flawed, you are just not built to be a runner, therefore you shouldn’t be running at all. They tell you to quit. Quitting is their prescription! But what I have argued at all of these medical conferences is completely counter to the conventional medical wisdom. I believe that treatments most often prescribed for runners when they develop a running injury actually puts you at a higher risk of re-injury later. When you stop running you get weaker. You get muscle atrophy. When you stop running you get stiffer. Your muscles and tendons and ligaments all become less pliable. When you stop running you lose your coordination and the neuromuscular connections that help your muscles fire efficiently and gracefully….with less stress. True or False?…A runner who is weak, stiff and uncoordinated, running with poor form is more likely to injure themselves. Wouldn’t you agree that statement is true? I believe that’s true. Most runners don’t get injured in the middle of their workout. Most runners get injured at the end of their workout when they are weak, uncoordinated, as their running form falls apart. Degeneration of your running form when you get tired and weak leads to increase forces throughout the lower extremities (your feet and legs) because all those structures get loaded asymmetrically. You are no longer absorbing forces as dynamically. Things get loaded more forcefully. 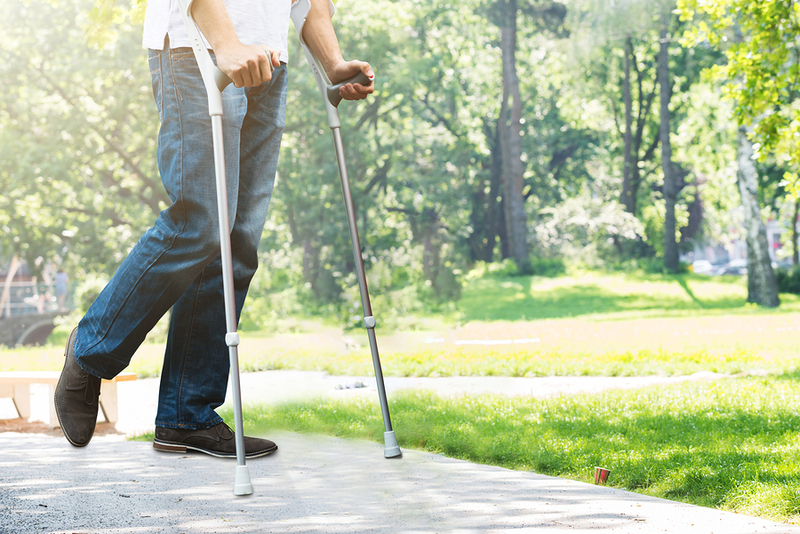 Strict rest, fracture walking boots, casts, crutches and even extended periods of no running can all make you weaker, stiffer and uncoordinated. 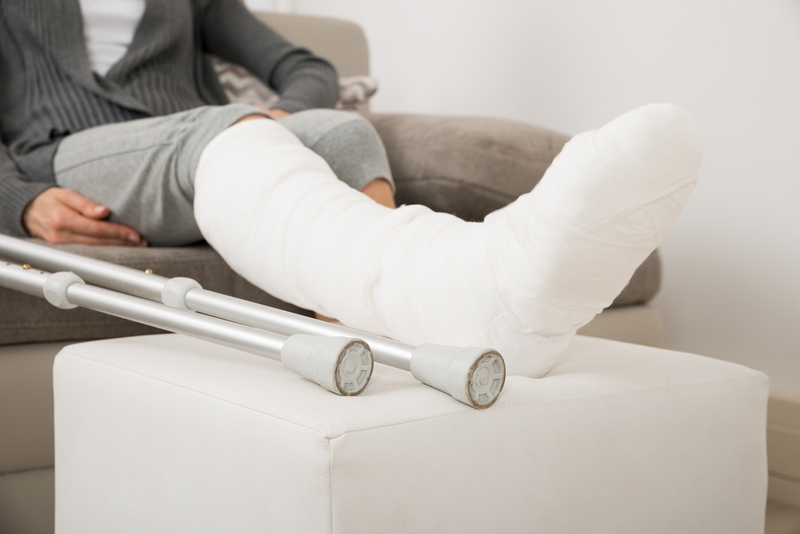 All of those treatments, which may be frequently recommended by doctors, put you at higher risk of re-injury later. That’s what you really have to think about when you get injured. You have to ask your doctor, and think for yourself, and decide whether or not some specific treatment that has been recommended may put you in a position where you’re going to be more at risk of another injury as soon as you resume running. In my view, the sooner you can start running, the lower your risk of another overtraining injury. The more time you take off running, the higher your risk of another overtraining injury. Once you resume running, you have to manage that risk as well. You have to think about how you can decrease the forces applied to that one anatomic structure that got injured. How can you run without putting increased stress on your plantar fascia? How can you run with less tension on your Achilles tendon? How can you run while decreasing the force on that one metatarsal stress fracture? How can you do all of this while you maintain all of your fitness? How can you continue to maintain your running form with less risk? Those are really the important questions when you have a running injury. Not running isn’t always the solution. And not running at all, well that in itself is actually risky. You, your doctor, your coach, your trainer, everyone on your team needs to be thinking about how to decrease risk when you’re injured. Everyone on your team needs to be thinking about how to reduce your risk of a re-injury when you’re getting back to running. Don’t ever forget, you are a runner. And even if you’re injured you are going to run again. You just have to figure out what risk is worth taking and what risk has to be avoided. Make the best decisions on risk management and you will get back to running sooner! «« Should a Runner Ice to Treat Soreness?